This tray will hold three Predators. 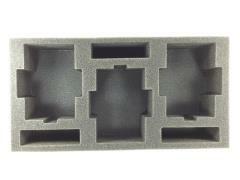 3 inch (76 mm) thick tray with 3x 4 x 1 inch (100 x 25 mm) cut outs. Available through the US Warehouse only.